Happy Monday! I hope everyone had a fabulous weekend. Recently I have had people asking me about my clothing budget and how I go about re-wearing items so I thought I would pick a few favorites from previous months and show you how I remix them. 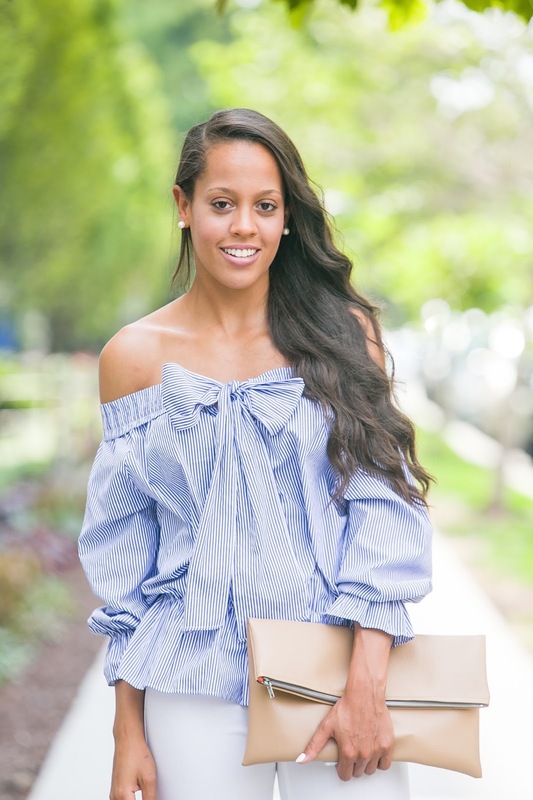 This off the shoulder top, last seen here, is too much fun to only wear once. I sometimes shy away from dresses and "showstopper" tops because I fear I won't get my moneys worth and that it will only get worn the one time, however I have recently been challenging myself to remix more often and to only purchase items I can see myself wearing at least a couple different ways. I bought this top knowing I wanted to wear it with white denim so this look was a no brainer, I am also planning on styling it with a white denim skirt and some fun pumps or maybe dressing it down with some sandals and cutoffs. I hope these remixes will be beneficial! Such a unique top! I'm remixing clothes all the time! Which is why I have a hard time getting rid of anything cause I always bring it back into the mix! 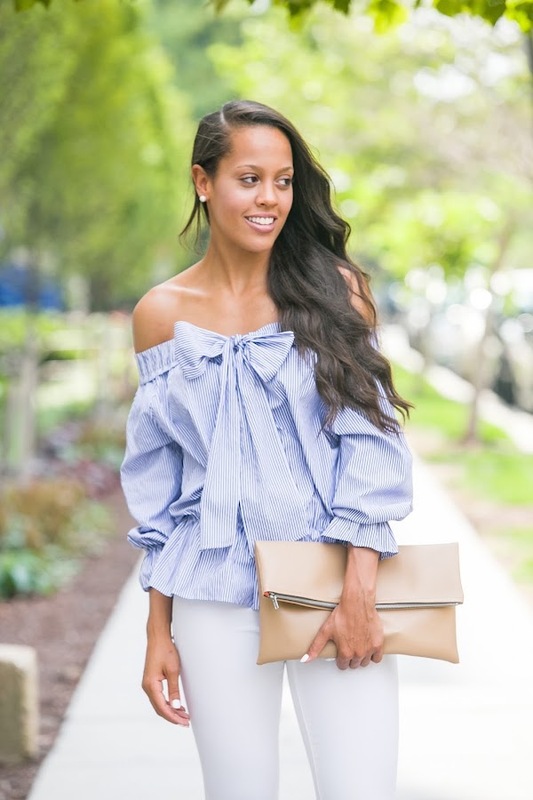 This off the shoulder top is too cute!!! I love the small stripes and the big bow! Its so fun to see how people rewear items in their wardrobe. It gives great inspiration.